This will be held after the service on 12 March. 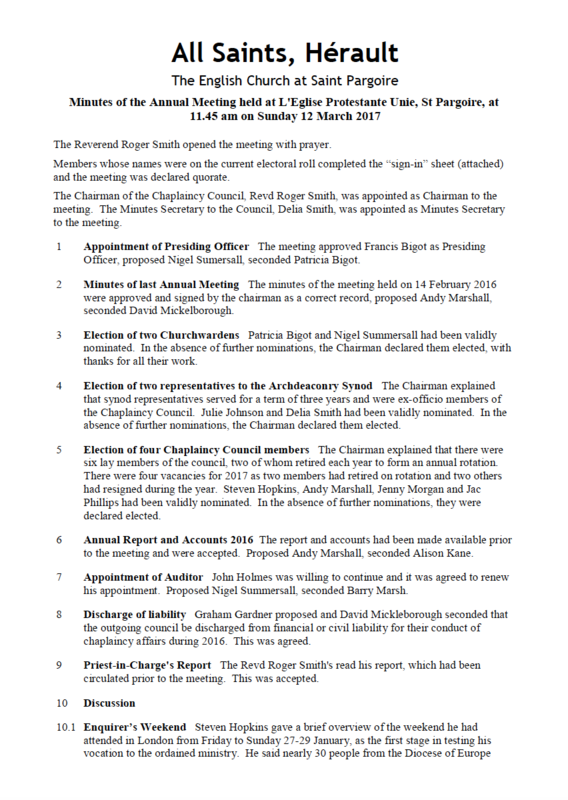 Elections will be held for 2 churchwardens, 2 synod representatives and 4 chaplaincy council members. To stand for election and/or vote you must be on the electoral roll, for which forms are available, these forms must be sent to Patricia for Saturday 25th February. 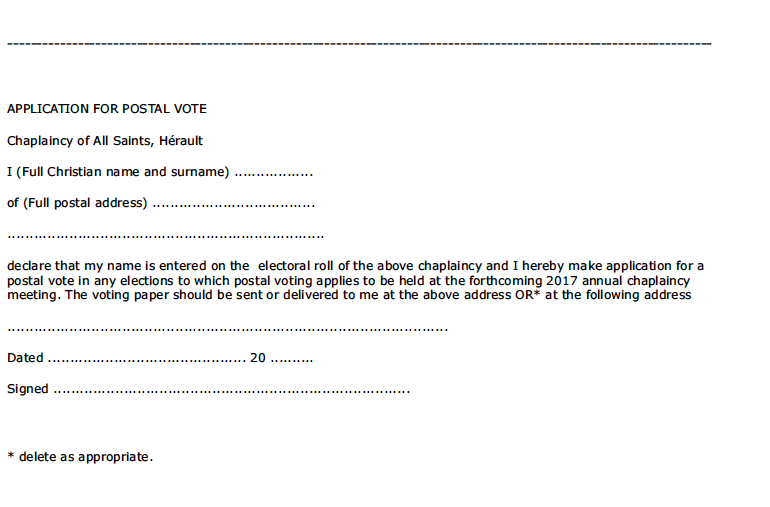 Members of the church should have received a copy of the current electoral roll.Nomination forms for the elections have been sent to those on the electoral roll and hard copies will be available in church. Copies of most of the required forms can be found below. 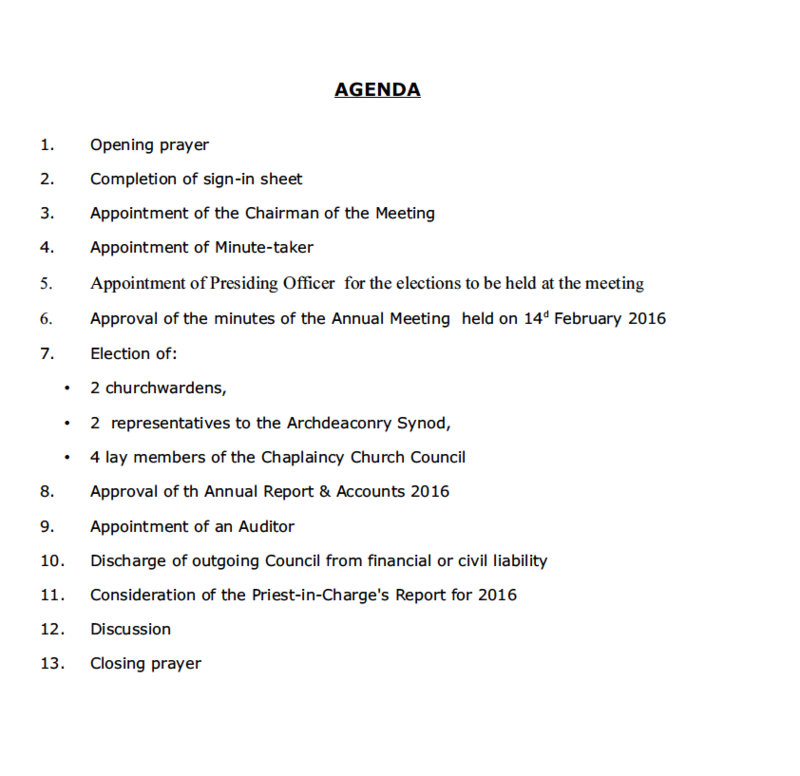 Last year's Priest in Charge report covering the year up to February 2016. 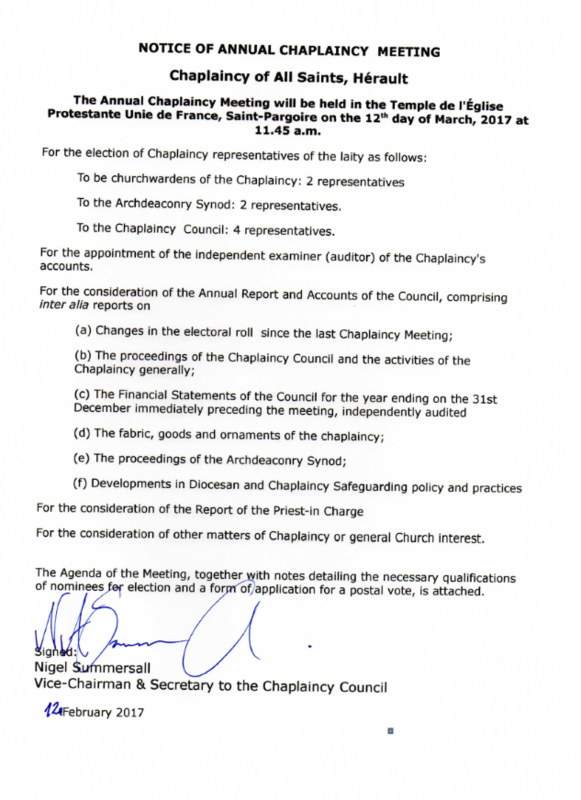 This is the form to use if you wish to nominate someone for the Chaplaincy Church Council. 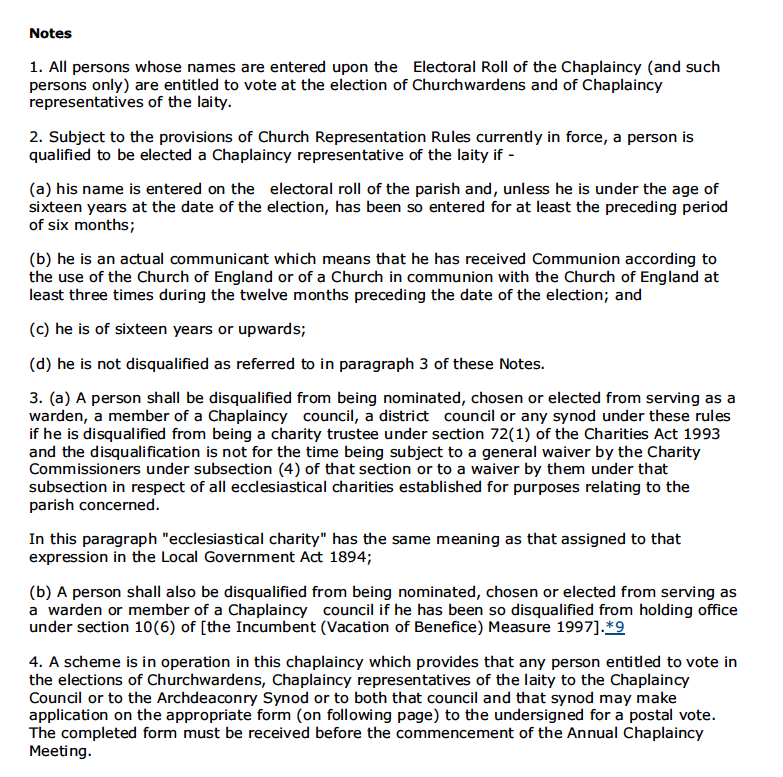 This is the form to use if you wish to nominate someone for the post of Churchwarden. This is the form to use if you wish to nominate someone to become our representative at Synod. To nominate or vote for any of the posts above, you must be on the electoral roll. The form required is on the right. Please ensure that it has been received by Patricia by the 26th February 2017. 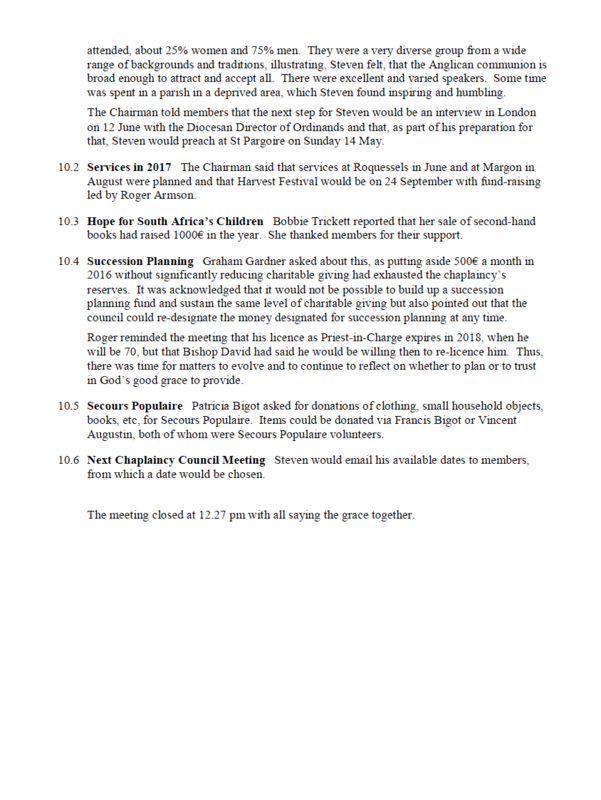 To remind yourself of last year's AGM, here are the minutes!